Looking for a great way to relax your mind, body and spirit? Reiki is a gentle energy balancing system that induces a state of peace and joy in the body, mind and spirit. One can think of it as a massage for the soul. It is so relaxing that just one hour of treatment is equivalent to four hours of sleep. Yin Yoga is a passive yet intense practice that prepares one for the stillness of meditation. The extended hold of the poses in yin yoga allow the Reiki energy to be given to each student at least once during the class. 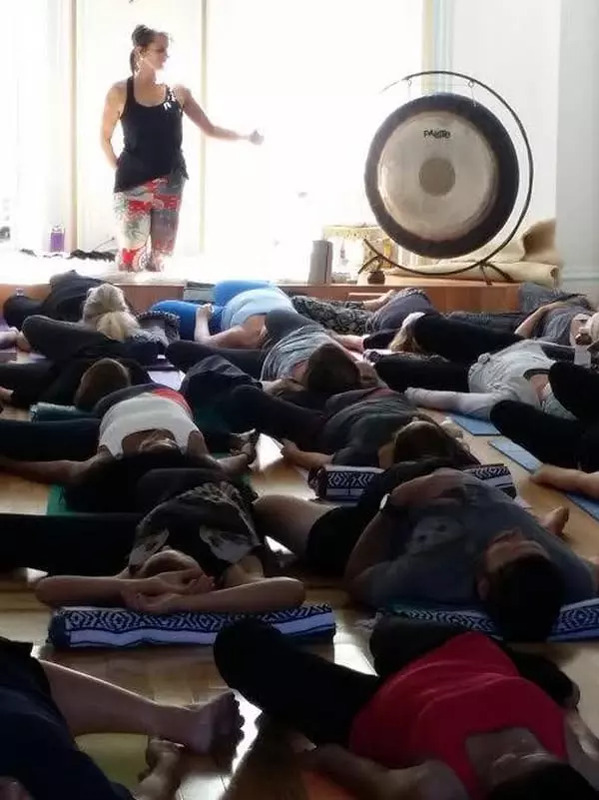 This speciality class will weave the Reiki energy within the yoga practice to help you go deeper into relaxation and bliss. The extended hold of Yin Yoga poses apply moderate pressure to the connective tissues: the tendons, fascia, and ligaments restoring elasticity and flexibility. On an energetic level, Yin enhances the flow of prana, or the life force, in the tissues around the joints resulting in better organ health, immunity, and emotional stability. A more meditative approach to yoga, Yin aims at cultivating awareness of one’s inner silence and stillness. Each student will receive generous doses of individual Reiki. Treating multiple parts of the body to create physical and energetic balance, this deep inner healing is further supported by the soothing properties Healing Crystals and Aromatherapy. A style of yoga that incorporates movement from pose to pose. Focus is on full body strengthening and flexibility through standing poses.